Cleaning can be hard. Don't stress yourself with those hard to reach spots. 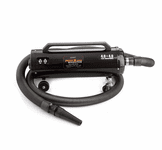 At AutoBarn we carry a variety of Vacuums and blowers that can reach and clean all the spots your ordinary vacuum can't clean. We feature brands such as Metropolitan Vacuum, and DataVac. All-in-one, powerful vacuum. 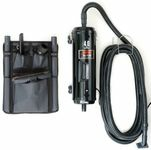 Great for cleaning your cars, trucks, SUV’s or your garage.